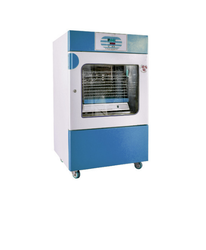 Pioneers in the industry, we offer platelet incubator from India. Platelet Incubator provides an ideal strong environment for the Platelets. This unit designed to maintain a stable and inform temperature of 22.0°, the user friendly includes an acrylic inner door, and see through outer door, simple calibration is possible via the control panel.